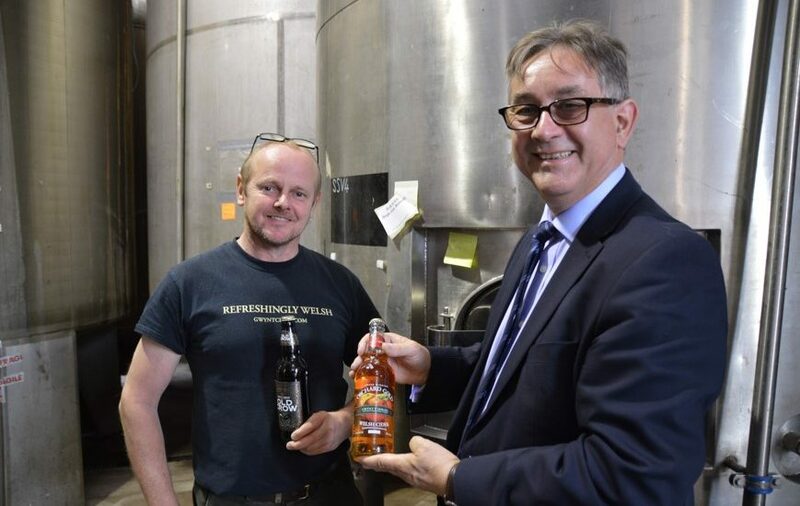 Assembly Member for Pontypridd, Mick Antoniw has welcomed the Welsh Government’s announcement that Traditional Welsh cider and perry are the latest Welsh products to be awarded protected status by the European Commission. Traditional Welsh cider and Welsh perry join other iconic Welsh products, such as Welsh Laverbread, Welsh Lamb and Halen Môn/Anglesey Sea Salt, in being recognised for their distinct quality and awarded protection against imitation and misuse. In total, 14 Welsh products have now been awarded protected status. Among the Welsh companies producing traditional Welsh cider are local producers Gwynt Y Ddraig, who are based in Llantwit Fardre. “The recognition from the European Commission is important as it demonstrates the quality of Wales’ produce as we strive to reach new markets to grow the industry and prepare for a future outside of the EU. It’s also further evidence of the success of the growing Welsh food and drink sector and the effectiveness of the Welsh Government’s strategy to support it. “Traditional Welsh perry and Traditional Welsh cider are re-emerging products and the revival of these drinks has been driven by high-quality local producers, such as Gwynt Y Ddraig.